The Clicgear® Umbrella Adjuster provides extra height and adjustment for your umbrella. 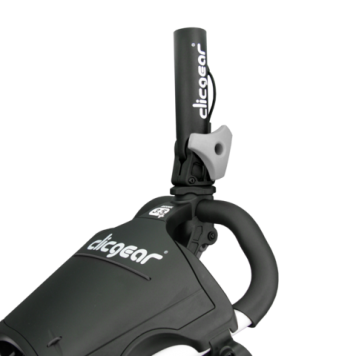 The Clicgear® Umbrella Adjuster easily adjusts the angle and direction of your cart umbrella. Raises umbrella approximately 3″ higher than the standard umbrella holder and provides unlimited adjustment. The Adjuster is built of rugged fiber nylon material and uses an extra large adjustment knob for easy adjustment.